VOCAL’s UAV VoIP Gateway solution enables unmanned aerial vehicle audio, video and radio communications over IP networks using VoIP protocols. VOCAL’s extensive telecommunications design and development experience and our comprehensive customization support will help you meet your UAV and UAS application requirements. Customized interfaces for radio, device and sensor operational controls are also available. Contact us for a demo or to discuss your specific UAV VoIP gateway application and performance requirements. VOCAL’s UAV VoIP gateway software solution is ideal for low power and low bandwidth communications and video surveillance applications used with unmanned aerial, ground and naval systems. The VoIP gateway provides a standards-based product with an extensive features list that can be configured for different payloads and missions. 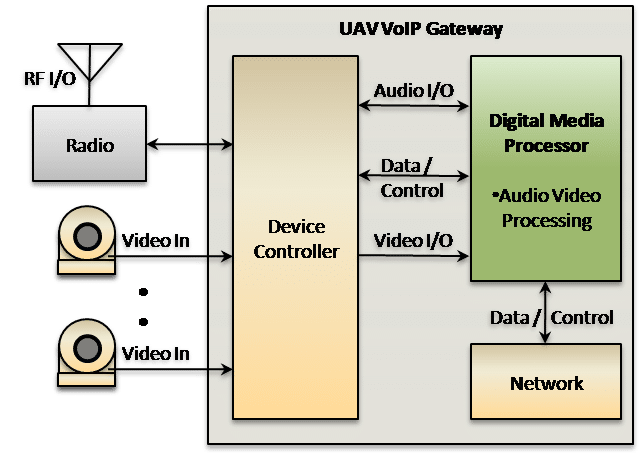 The UAV VoIP Gateway converts between bi-directional or broadcast audio, video and radio applications and IP networks over a VoIP connection using SIP or RTSP. Media streams are transmitted using RTP. 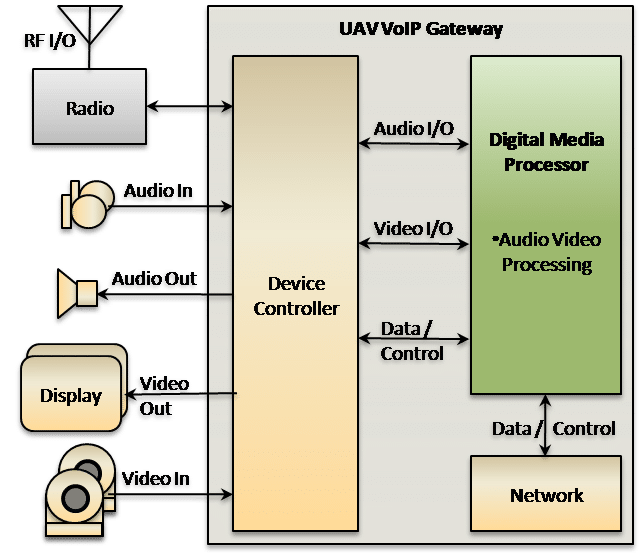 The gateway accepts audio, video and radio communications from a wireless (or wired) network for output to the corresponding UAV on-board device. Data collection and relay of remote SCADA systems used for security monitoring and environment management. 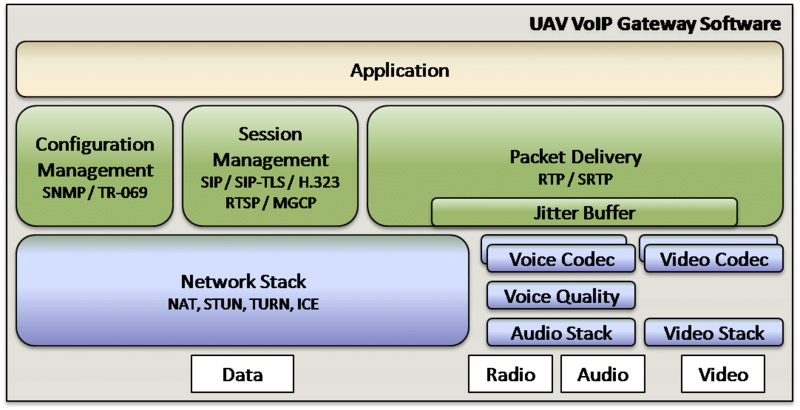 VOCAL ensures UAV/UAS compatibility and interoperability testing using many VoIP providers. Our VoIP software works seamlessly with servers from Cisco, NetCentrex, Quintum, Asterisk, 3CX, OpenSIPS, FreeSwitch and other vendors. Device configuration can be completely managed using a web interface. For further information regarding compatibility and interoperability testing, please contact us. VOCAL’s UAV VoIP gateway can be configured with a variety of sensors for air, ground and naval unmanned vehicles for remote sensing, search & rescue, agriculture and other commercial applications. Our VoIP solution supports radio and video devices typically used in unmanned aerial vehicle applications as well as other devices such as microphones, loudspeakers and even displays. Specialized devices for remote sensing can also be supported using VoIP protocols to transmit sensor data.